Fighters of the US-backed Syrian Democratic Forces (SDF) have detained dozens of civilians in western Raqqa with the aim of forcibly recruiting them, local sources reported. The SDF units stormed houses of civilians in Al Sukkariya village, detaining Khalil Mustafa al Jawri, Ahmad al Ali and Abdulkhaleq Shaddo before taking them to a training camp. Dozens more were detained in the villages of Khunayzat and al Kalita in Northwestern Raqqa. 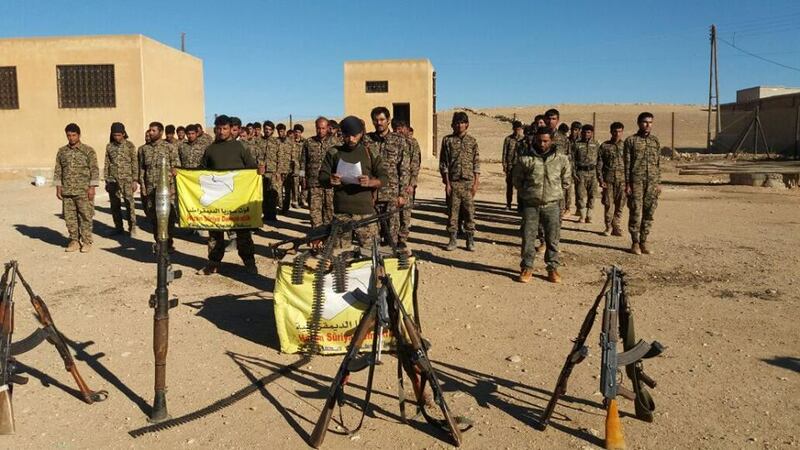 he SDF fighters have also been repeatedly targeted by unknown attackers. An IED explosion in the city of Raqqa left two SDF members injured in the city of Raqqa last Saturday. Earlier last week, the SDF units imposed additional security measures in Raqqa after two of its security apparatus members were wounded in a shootout the previous night. A day before the city was hit by mass protests caused by complete water and electricity shutdown.